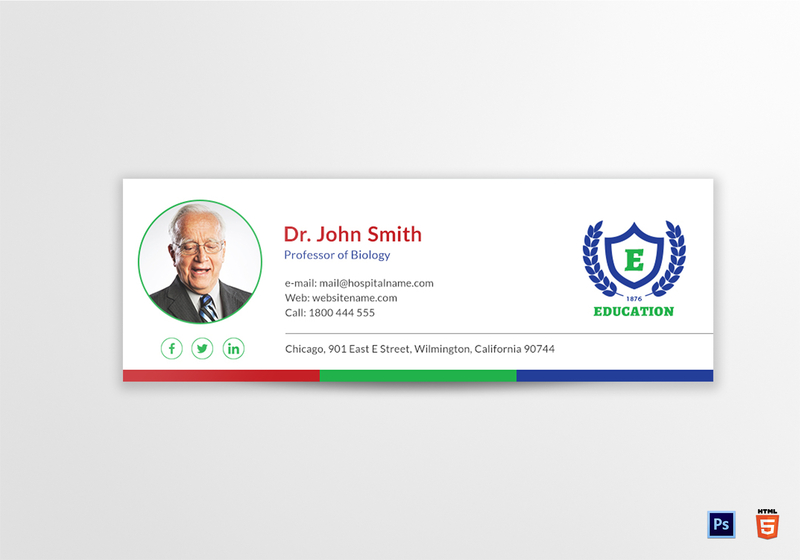 Class and sophistication are the first two things that come to mind when people see the Education Email Signature Template. This wonderful template has the fully customizable layouts, top quality artwork, and RGB color space that many have come to expect. You can download this template through its supported formats of HTML and Adobe Photoshop.